6 reasons why the Snoeren story is unique and good for long-term profitability. 1) Snoeren is the largest shoe store of the southern region of the Netherlands. 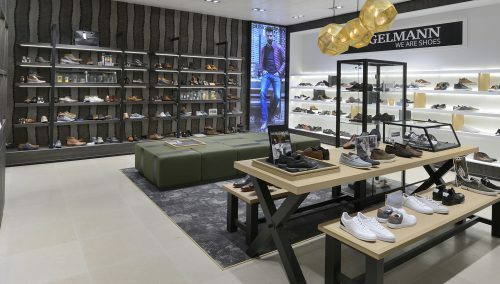 After significant renovations, Snoeren Shoe and Foot specialist in Teteringen opened the doors to their renovated store on 7 March 2018. And not just any shop. With a surface of 1,100 sqm, Snoeren was immediately the largest shoe store in the south of the Netherlands. The WSB retail designers were invited to realise the rigorous expansion of the store. On the left side of the existing shop, a full building was constructing to expand. This served to show Snoeren’s philosophy. 2) It is always busy at Snoeren! How do they do that? Whether you come in to Snoeren early morning or just before closing, there is always a vibrant buzz here. What is the secret? The perfect combination of foot care and shoe fashion. This results in a wonderful mix of children, youngsters, adults and elderly people who come shopping here throughout the day. 3) Family business with historical roots and large regional function. In 2017, Shoe and Foot Specialist Snoeren was in business for 90 years. At the time, it opened as a shoe repair shop in a small shop. Meanwhile, in addition to three generations of the Snoeren family, thirty professionals are working in the shoe shop and the clinic. Snoeren is an icon in the south of the Netherlands Leon and Pauline Snoeren are more than capable to determine the course! 4) The combination of the future: Shoe fashion and Foot care in a single building, at Snoeren in Teteringen. The ‘persuasion funnel’ has been perfected. With Snoeren’s full concept, everyone can find what they are looking for. From pedicure treatments to sports podiatry, from trendy shoes to orthopedic custom shoes. Shopping in Teteringen is just a ball. After trying shoes have a wonderful salad or a crusty roll with your aromatic Snoeren coffee. The main secret is hospitality and experience, a golden frame of the personal footcare and distinguishing shoe fashion. 5) Excellent shop design with the right spearheads. The shoe shop’s store design gives the business a leading edge. Due to the high degree of service, we chose to cluster the reception area, service counter, waiting lounge and catering area near the entrance. This increases the personal character. The extension on the left side was used to house a large collection of men’s shoes, sports shoes, leisur shoes, clothing and accessories and measuring spaces. The first floor displays the largest collection of children’s shoes in the south of the Netherlands in its own, fresh-looking environment. The catering space is decorated with mosaic tiles. Large parts of the interior are finished in sturdy maple wood, bronze, black steel and natural green The sports department has an extensive running measuring corner. Measuring gives certainty. 6) The professional organisation is not divided; it was concentrated instead. Leon Snoeren chose to have a single meadow shop to distinguish the business. A single professional organisation is more powerful than 10 small branches. In terms of customer attraction – but also in terms of the organisation’s agility. 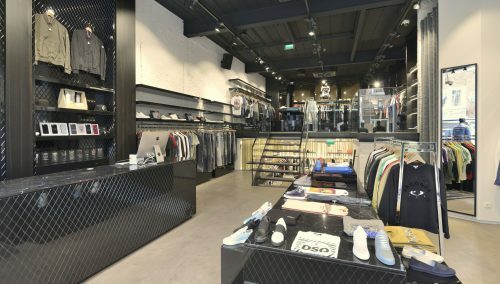 WSB provided a distinguishing interior, design and lay-out of the shop interiors for many shoe shops >> The WSB retail designers will turn your offline shoe shop into a commercial success >> WSB translates feelings, emotions. WSB makes the shop brand more powerful by creating an experience. We understand what really motivates people and what influences their buying behaviour. Our shop designers are familiar with world class cities such as New York, Paris, Berlin etc. WSB is leading, both in the Netherlands and abroad, in design and interior construction of shoe shops, shoe retail chains, showrooms of major shoe brands (for example Piedro andGabor, and shoe displays). Do you plan to renovate your shop? Inspiration? 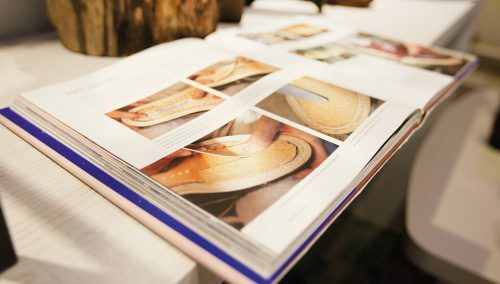 Please call WSB’s retail designers on +31 33 2771 714 for an inspiring, non-binding conversation.